A couple of days ago I had a chat with a journalist that resulted in my being quoted – along with Dr Shaun Holt – in this story about purveyors of Kangen water. If you believe the hype, this stuff cures a wide range of ailments & leaves you bright-eyed & bushy-tailed. IF… but sadly, these days personal anecdote seems to count for more than that nasty stuff called evidence, and so many do believe the hype. Then a cousin in Raetihi told her to try Kangen water and she was hooked straight away. it restore[s] the drinker’s body to a more alkaline state. Now, the problem with that particular claim (based, ultimately, on misunderstanding and/or misinterpretationB of Otto Warburg’s work on tumour metabolism) is that your stomach operates at a low (very acidic) pH. 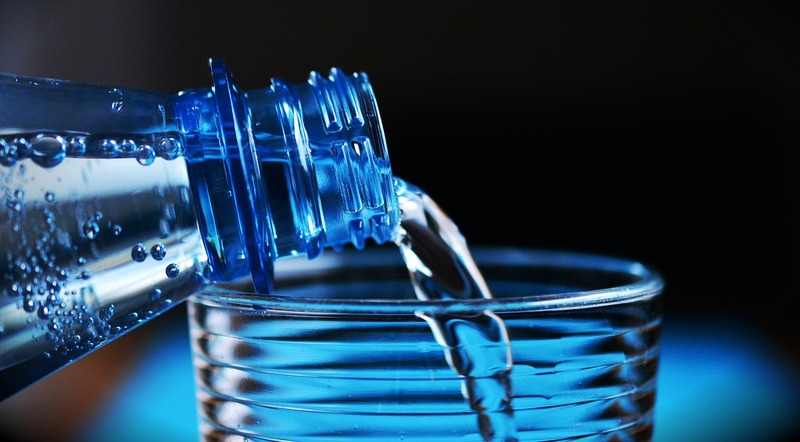 Quaff a glass of alkaline water? It’ll likely be neutralised when it hits your stomach. In addition, your body’s lungs & kidneys maintain tissue pH within a very narrow range; excess hydrogen (H+) or hydroxyl (OH–) ions are excreted in urine, but the tissue pH remains pretty much constant. So those glasses of expensive H2O will keep you nicely hydrated (& feeling good), but they won’t be doing much else, & certainly not making changes to your body’s tissue pH, though there may be temporary changes in the urine. The effectiveness of the process is debatable because electrolysis requires significant amounts of time and power; hence, the amount of hydroxide that could be generated in a fast moving stream of water such as a running tap would be minimal at best. They’re also highly unlikely to produce ‘hexagonal water’ (despite claims from head office, that one is chemical quackery), or significantly affect the oxygenation status of your tap water (another claim about the Kangen machines). Plus, as Ben Goldacre once commented (in a different context), you don’t have gills in your gut. Honestly, there are so many resources out there that assess the claims for alkaline water – and find them wanting – anyone considering buying one of these things would find it easy to some due diligence first. (You could start with Skeptoid’s explanation, or follow some of the links I’ve provided.) Then, hopefully, you’ll put the $4K back in your bank account, and drink a nice glass of chilled tap water. A I venture to suggest that once you’ve bought a machine, there’s a significant incentive to keep pushing the product regardless. B One R.O.Young made a lot of money on the back of pushing that one. Remember that PubMed is an aggregator; the fact that something is listed there doesn’t mean that they have US government approval, or anything like that. The first few hits there on a search for ERW are of in vitro studies. That is, cells in petri dishes were directly exposed to high-pH water. It’s a very long bow to draw, to suggest that this equates to likely physiological action in a human body. This is because cells in vivo will not be exposed to those pH levels – any high-pH water ingested is going to be neutralised by the low-pH conditions in the stomach, & excess ions that do make it through to the blood are excreted by the kidneys. I’d also note that science isn’t usually promoted via multi-level marketing schemes, which is what appears to be happening in this instance. Christine, how old something is doesn’t make it “right”. What makes it right or not is if there is evidence to support it. In this case there’s no support, and some pretty weird claims. It’s a real doozy. Noil Bee – please note that I’m not approving a comment that is simply a link to a video. This is a science blog & I’d much rather that you engage with its content via discussion. Christine Worboys…thank you for your comment. I’d say that for them to be started in Japanese hospitals they must have been very good. Also Japanese made items..aren’t that good? Hi Yvonne – the fact that Kangen filters were developed in Japan doesn’t mean that they actually do the things that are claimed for them.